They challenge every obstacle that comes their way and stand together to protect the glory of the team. They are the Royal Challengers Bangalore. If you live with the same passion and do whatever it takes to protect your family, participate in the RCB fan Ambassador Contest. They challenge every obstacle that comes their way and stand together to protect the glory of the team. They are the Royal Challengers Bangalore. 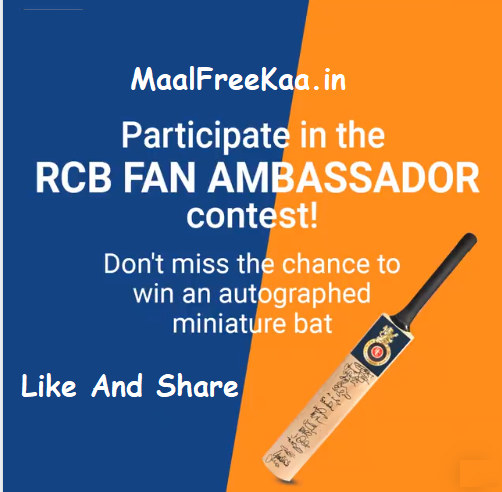 If you live with the same passion and do whatever it takes to protect your family, participate in the RCB fan Ambassador Contest. 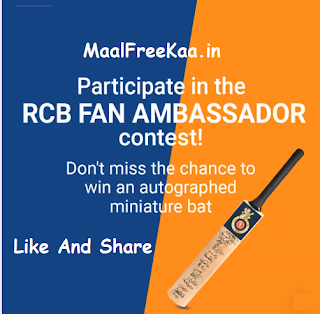 It’s your chance to win an RCB team-autographed cricket bat participate now and win free. Make sure your face fits the frame nicely. Click and save it. 2. Post your RCB frame picture in the comment section below. 3. Tag @maxlife, use #ProtectionFrontFootPe and mention one thing that you would do to protect your family. The Contest will be live only on 13th & 15th April and entries will be accepted only between 10:00 am to 11:59 PM on the aforesaid respective dates. Max Life Insurance reserves the right to extend the deadline for participation at its sole discretion.